The East Midlands’ property market remained resilient throughout 2018 despite a backdrop of political uncertainty, according to the region’s annual in-depth commercial property review published by Innes England. The company’s Market Insite report, which monitors trends in the regional property market across Nottingham, Derby and Leicester, highlighted a positive year across the region with keen interest from owner-occupiers for freehold property and strong performances in the office and industrial sectors throughout the East Midlands. Tim Garratt, Managing Director at Innes England said: “Much like the previous year, 2018 was a turbulent one filled with political uncertainty but despite that, the East Midlands property market is generally performing well. 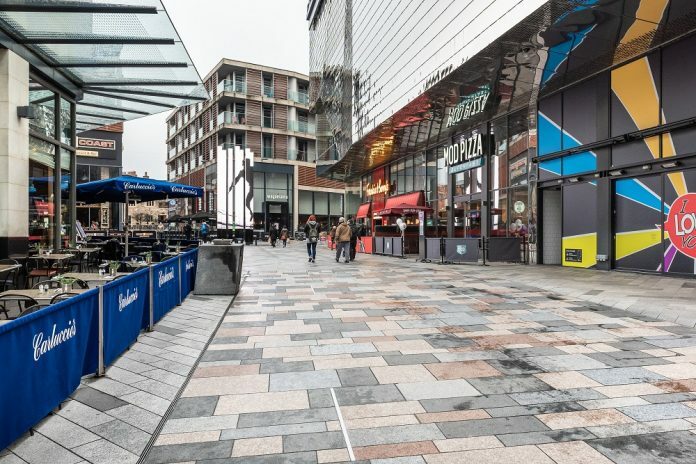 “Investment in the region remains strong, with notable transactions being the forward funding of Unity Square in Nottingham and Hammerson’s sale of a 50% stake in the Highcross Shopping Centre in Leicester; while in Derby the industrial sector remained popular with investors. “In all three cities, we have also seen significant levels of local authority activity as they look to bring forward important regeneration schemes within the respective cities. In Derby, the council has undertaken a flurry of activity around the former Debenhams building after naming St James Securities as the preferred developer for the site. In Derby and Leicester, the industrial sector performed particularly well with a lack of stock driving rent increases. Both cities will also see a boost to supply in 2019 as significant developments start to come to market. In Nottingham, however, take-up hit a five-year low of 857,300 sq ft – again, due to a lack of availability, which hit a five-year low. “A lack of high-quality accommodation has challenged the industrial market in the East Midlands for a number of years, but this balance is starting to redress thanks to developments in Derby and Leicester. Nottingham, however, continues to be hampered by low availability,” added Tim. The retail sector has made headlines in 2018 thanks to challenges from changing consumer habits, but the East Midlands has remained steady – with Leicester the standout performer. Matt Hannah, head of agency at Innes England, said: “The redevelopment of the former House of Fraser at Highcross in Leicester is nearing completion and has brought with it openings including Zara’s new flagship store and JD Sports. The out of town market also performed well with the extension to Fosse Park underway with tenants committed to include Next, Debenhams and TKMaxx signed up for larger units. In 2017, the East Midlands office market was hampered by a critical lack of availability but significant developments in all three cities look set to improve activity in the sector throughout the region into 2019. Boosted by a pre-let to HMRC at Sladen Estates’ Unity Square scheme, Nottingham’s office take-up reached a record level of 733,600 sq ft – while Leicester also saw a significant increase in take-up, up 42% on the previous year and prime rents hit a record high of £18 per sq ft. Derby saw an increase in supply for the first time since 2013 as a result of the return to market of 85,000 sq ft in the former Webhelp building on Pride Park. Tim added: “A lack of high-quality new and second-hand space has long blighted the East Midlands office market, but we started to see that change in 2018 – and speculative schemes across the region will see more availability into this year and beyond. “Grade A city centre space is still limited, but schemes including Unity Square and Bildurn’s 11 Station Street in Nottingham, Grand Central Square in Leicester and others in Derby will see an increase in availability throughout the East Midlands. “As a firm, we are looking forward to another positive year in the East Midlands. The foundations have been laid across all sectors, so we can expect to see continued growth to the region’s industrial market and within the office landscape too. “Retail across the UK is facing challenges, but our core cities across the region have established retailer representation in high profile shopping centres, and new schemes anchored by the food discounters continue to come forward.